Kevi Air is a height-adjustable swivel chair by Jørgen Rasmussen for Engelbrechts, that convinces with a lightweight design. 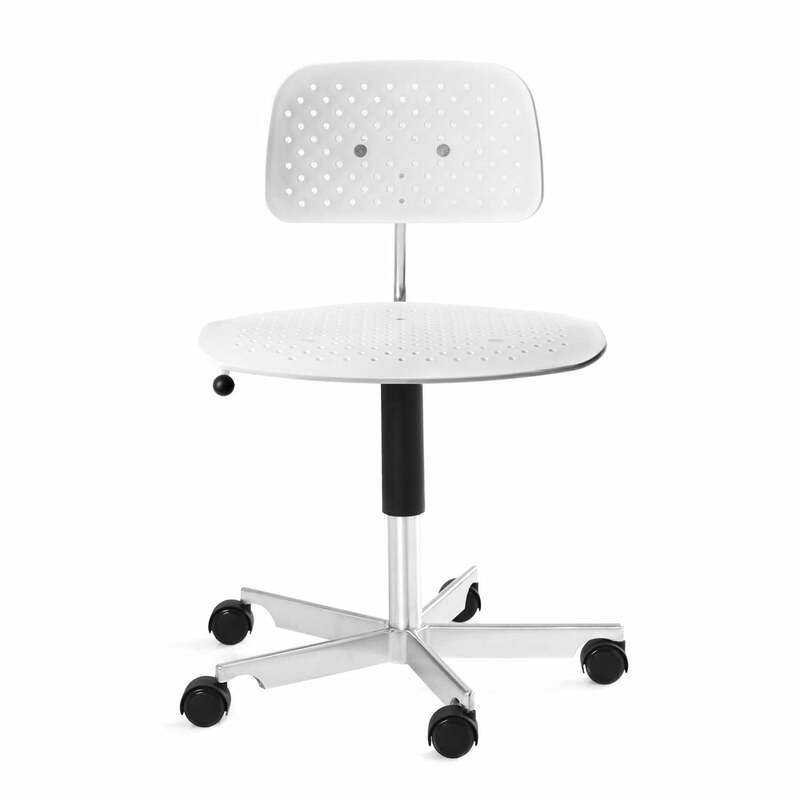 The minimalist and ergonomic design makes the chair ideal for the office or home office. The Kevi swivel chair had already been designed back in 1958. 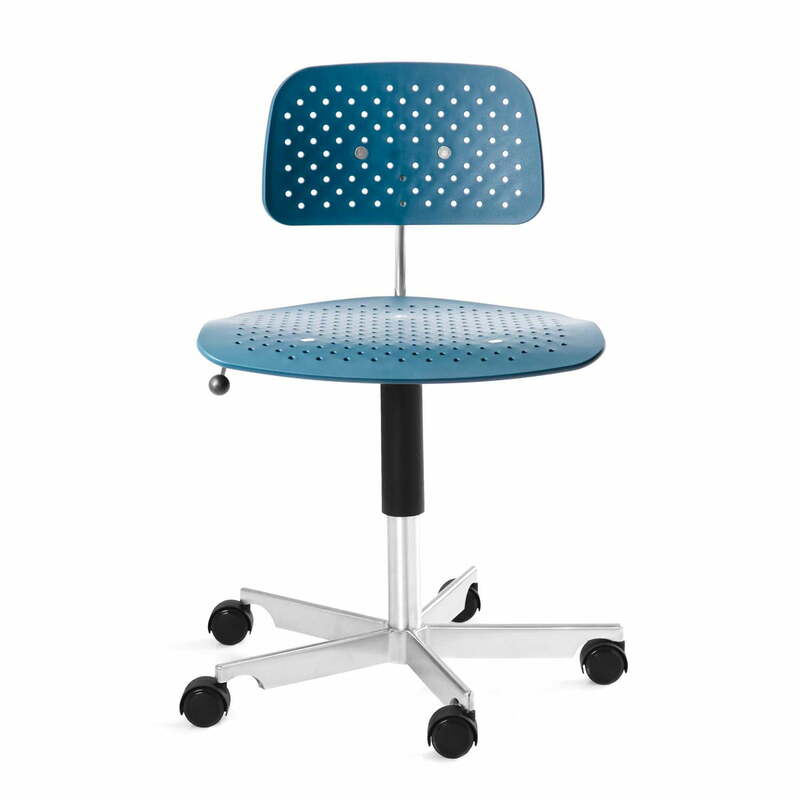 Restrained yet comfortable, the Kevin Air chair is made by Engelbrechts out of coloured plastic and a high-quality aluminium pressure cast iron base. A total of 5 castors with soft surfaces are particularly well suited for hard floors. 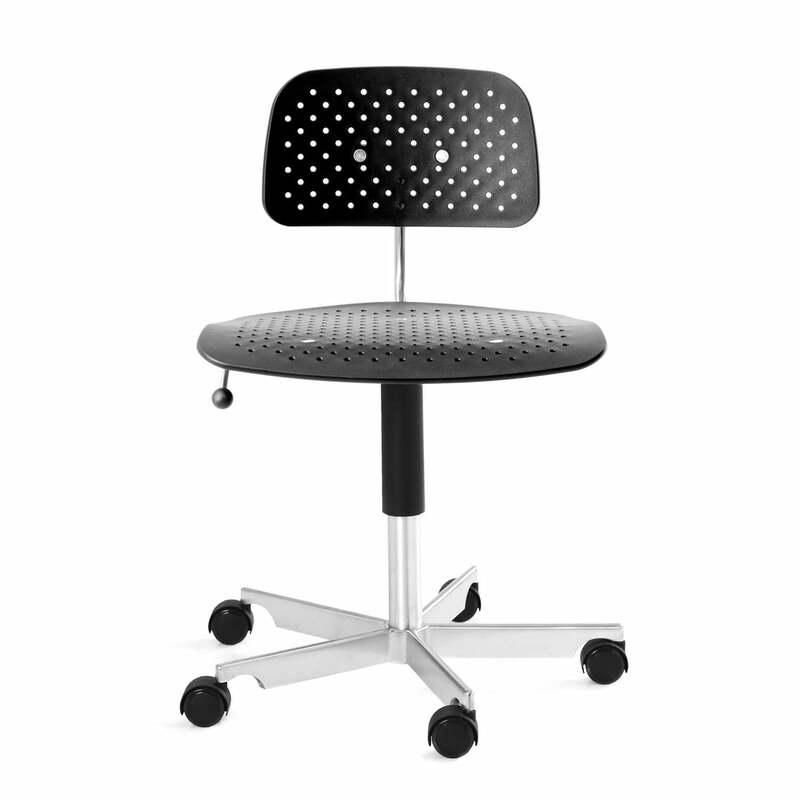 The standard version of the Kevi Air office chair can be adjusted in height between 38 and 51 cm. Three other variants with a seat 10 cm higher are available on demand. 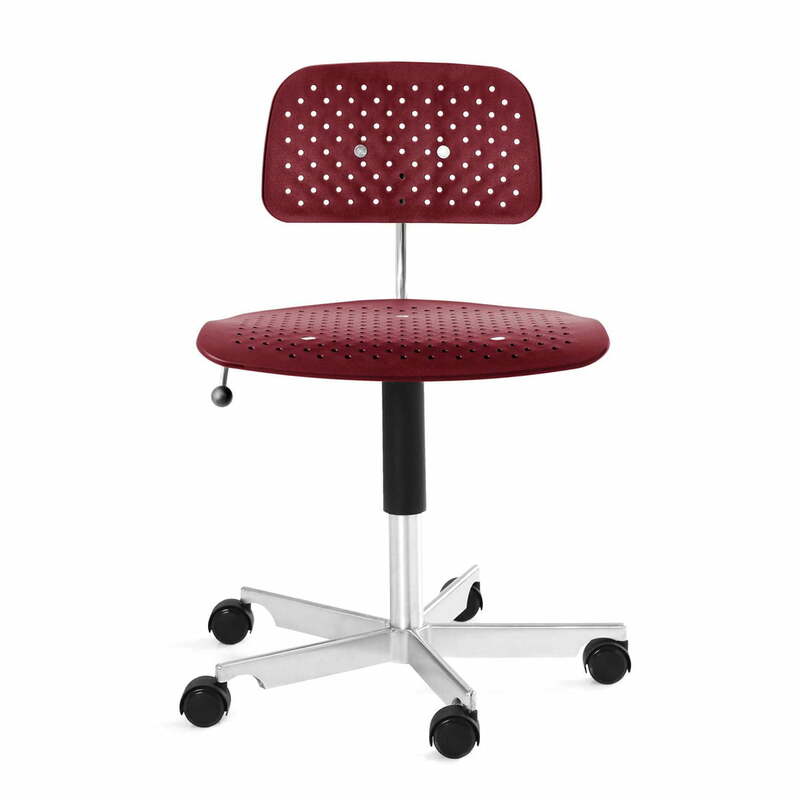 The minimalist swivel chair Kevi Air by Engelbrechts is also available on demand in different RAL-colours.